Nagasu and Bersten were voted out of the competition that crowned its champion the following week, despite their consistently top scores with the judges. 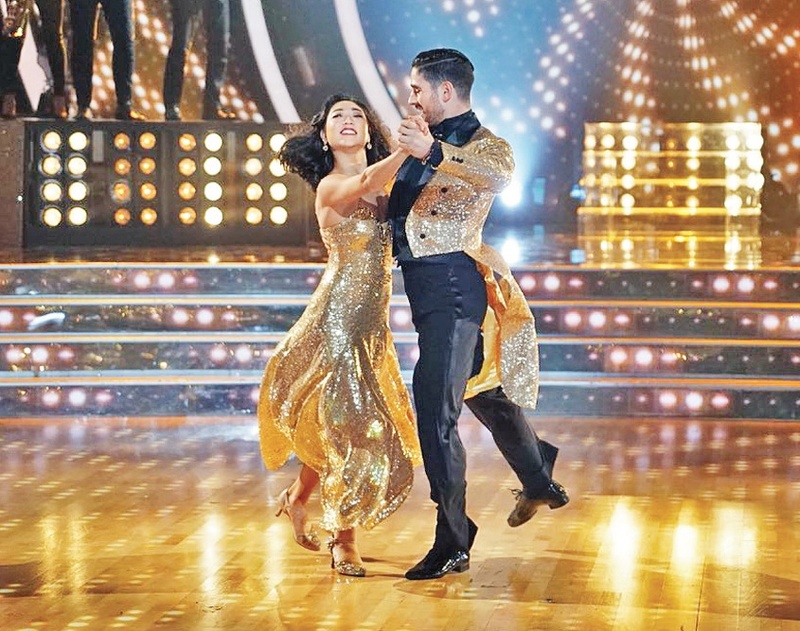 Viewer voting, however, was not in their favor, and they did not return for the May 21 finale of the four-week contest. The winners were Nagasu’s close friend and U.S. Olympic figure skating teammate Adam Rippon and partner Jenna Johnson. Both Nagasu and Rippon are part of the current Stars on Ice tour. Nagasu dedicated her dance to her mother, who was in the audience and was nearly brought to tears. Harding (with partner Sasha Farber) and Josh Norman of the NFL’s Washington Redskins (with partner Sharna Burgess). Unlike the typical “DWTS” season, which lasts 10 to 11 weeks, Season 26 ran only four weeks. The other competing athletes were Arike Ogunbowale, college basketball player; Chris Mazdzer, Olympian luger; Jamie Anderson, Olympic snowboarder; Jennie Finch Daigle, former softball pitcher; Johnny Damon, former MLB outfielder; and Kareem Abdul-Jabbar, former NBA superstar.